BROWNSBURG, Ind. (July 23, 2013) – California became the birthplace of NHRA championship drag racing 60 years ago. The state that was synonymous with the sport had drag strips dotting the Golden State then, but now hosts only three of 24 annual events, including the Sonoma NHRA Nationals, on the Mello Yello Drag Racing circuit. 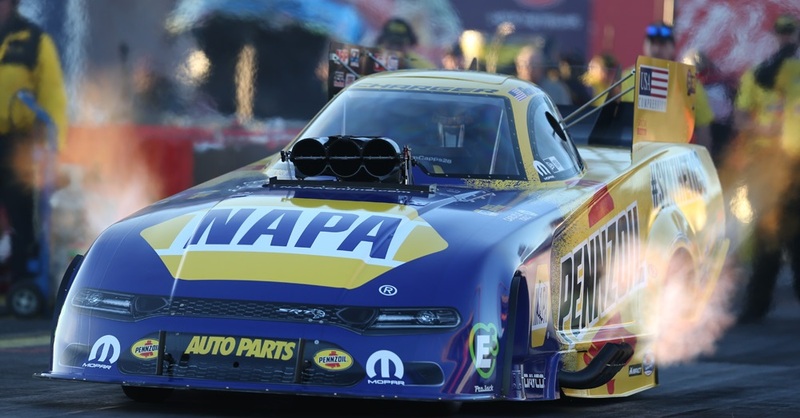 And racing at tracks he’s attended since a youngster makes the eyes of Ron Capps open wider at the thought of driving his NAPA AUTO PARTS Dodge Charger R/T Funny Car on California pavement. The native of San Luis Obispo, Calif., who lives in Carlsbad near San Diego with this family, will get his chance this week when the series competes at Sonoma Raceway, which is located about 275 miles north of his birthplace. He nearly delivered a California win in February when he was runner-up at the season-opener at Pomona, Calif., before winning his only title of the season the following week near Phoenix. Capps and family have been on California roads the past two weeks and have had their motorhome at Pismo Beach the past week before they will pack up and drive to Sonoma on Wednesday. Capps, a devout San Francisco Giants and 49ers fan, visited on the radio airwaves Monday with Bay Area sports giant KNBR 680 with popular duo of Bob Fitzgerald and Rod Brooks. Capps handled a parabolic microphone for the station at this year’s NFL Super Bowl. “I love KNBR and the guys over there, and thanks to Mike (Hohler, a KNBR producer) I got to work on the sidelines of the Super Bowl and had a great time even though the Niners lost,” Capps said. Other activities this week that add to the luster of the Sonoma event will be visiting with a large group of NAPA customers and a very special Thursday, when daughter Taylor turns 17. That night, Capps and his family will attend an annual dinner that celebrates the memory of the late Eric Medlen, a winning Funny Car driver from Northern California who died at age 33 in a 2007 during a testing accident. 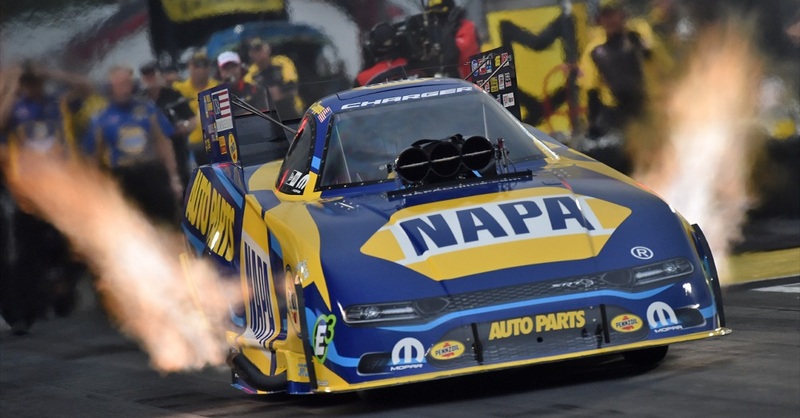 Then on Friday when qualifying begins, Capps will focus on moving his NAPA AUTO PARTS team with crew chief Rahn Tobler and assistant John Collins further up the ladder in the championship standings where they are ranked fourth. 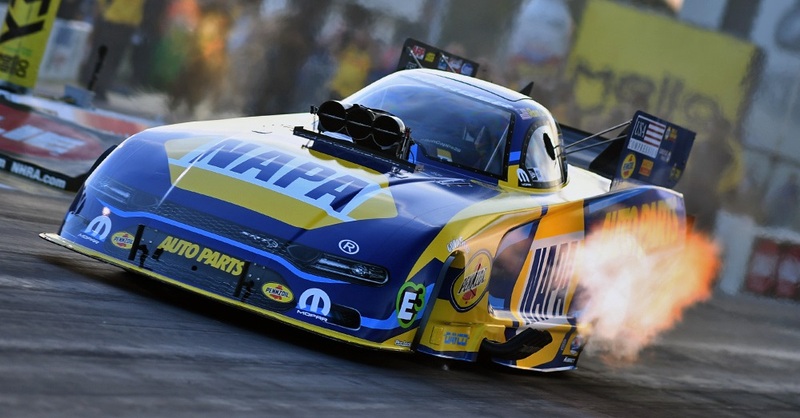 Capps, who qualified eighth last weekend at Bandimere Speedway near Denver, defeated series points leader and Don Schumacher Racing teammate Matt Hagan in the opening round before losing his next match against Cruz Pedregon, who went on to win the event title. 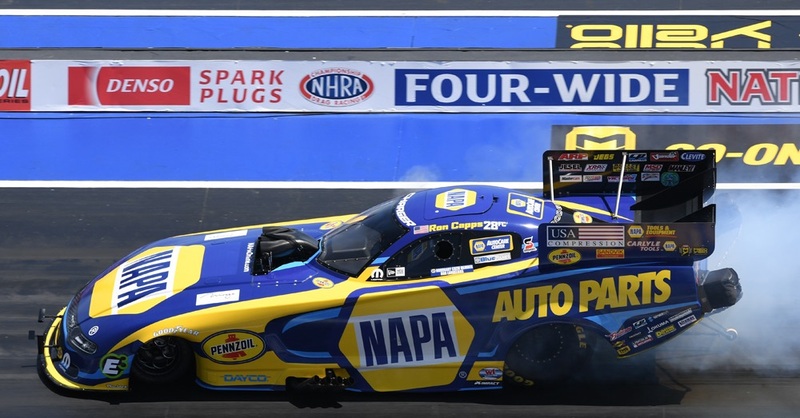 “We gained 20 points at Bandimere and beating Matt and that team was huge because right now they’re the team to beat,” said Capps, who has won three titles at Sonoma and was runner-up twice. 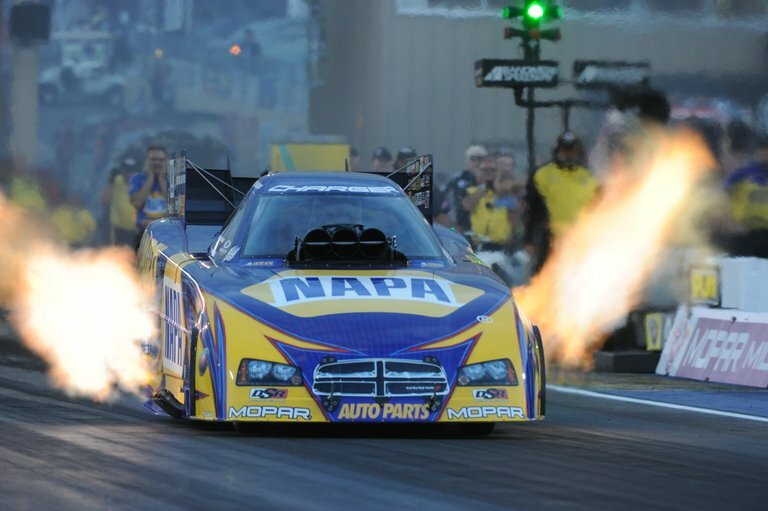 Join us to cheer on Ron Capps and the NAPA AUTO PARTS Funny Car team this weekend at Sonoma, or watch the exciting drag racing action on ESPN/ESPN2. A year ago at Sonoma: Qualified No. 3; lost in first round to Gary Densham.